'Blue Song' ( Bee Warburton, R. 1972) Seedling 69A-2. SIB, 32" (81 cm), Midseason bloom. 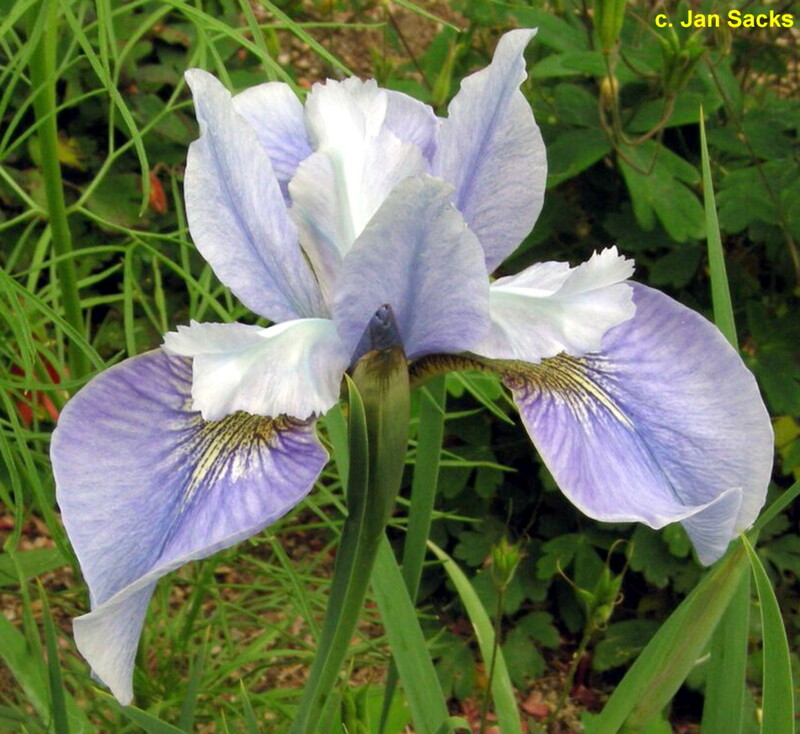 Standards light violet-blue; blue-green stylearms, fringed from midrib; Falls light violet-blue (RHS 97). 'White Swirl' X S1-#1: ( 'White Swirl' x 'Eric The Red'). Old Brook Gardens 1973. Honorable Mention 1974.